We've been back on the bike Monday 60km to Bogen and then 90km today to Passau. 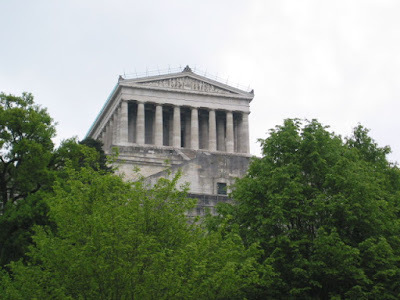 Just out of Regensburg we came upon Walhalla which is a greek style building containing the busts of Europe's famous Sons and Daughters (seemed like a really odd place to find this, on a hill over looking the Donau in the middle of nowhere). And then today we lunched with a view of the Town of Vilshofen (both Walhalla and Vilshofen are pictured below). 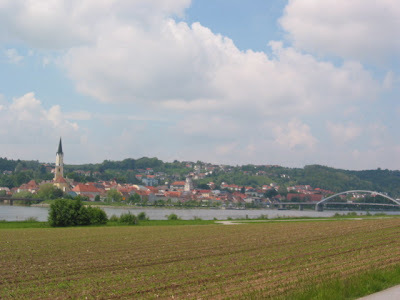 We're going to spend the day in Passau tomorrow as there is lots to see and do - will report!